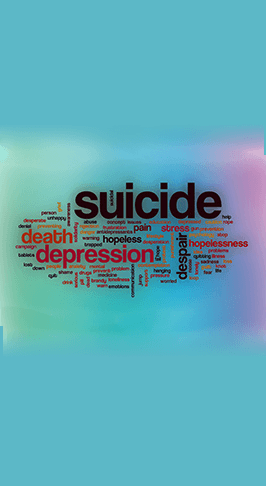 September’s suicide prevention focus is not enough for Oklahoma. Suicide prevention, awareness and intervention are needed every day. Adverse childhood experiences contribute to Oklahoma’s high suicide rate. They also put individuals at higher risk for serious physical, mental and substance use issues. Oklahoma’s 14 community mental health centers, including Counseling & Recovery Services, provide screening for suicide risk and trauma, including adverse childhood experiences, everyday for people who want help. The CALM Center also is available to help children and adolescents ages 10-17, around the clock, 7 days a week including holidays. Our staff and clients learn to manage emotional and behavioral triggers, including suicidal thoughts, by using safety plans. To access these tools, follow this link. Don’t suffer alone. Reach out for help. Help is available around the clock at 918.744.4800 or the National Suicide Prevention Hotline at 1.800.237.8255. Your life matters. We’re here to help.